Washington Siding with Tel Aviv, Obama Caving into the pro-Israel Lobby, Breaching Iran Nuclear Deal? 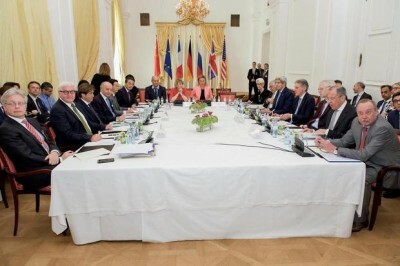 The dawn of a new era in US/Iranian relations didn’t arrive on July 14 in Vienna – with consummation of the Joint Comprehensive Plan of Action (JCPOC). Far from it. Washington’s deal-making history is deplorable – consistently breaching agreements. On Friday, Obama’s Treasury sanctions czar, Adam Szubin, arrived in Israel – to reassure its regime of continued US hardline anti-Iranian policy, ready to impose new “severe financial penalties for its (nonexistent) sponsorship of terrorism and support of military proxies,” according to The New York Times. He’ll reassure Israeli officials about Washington’s “continued efforts to target Iran’s (nonexistent) malign activities” – intending “intensif(ied) sanctions (to) ensur(e) they bite even deeper,” he explained. Washington agreeing in Vienna to remove Iranian sanctions was a Big Fat Lie. In return for ending some (on Iran’s nuclear program), new ones apparently will be imposed offsetting them, the usual US dirty game, pledging one thing, doing another with disturbing regularity. On Friday, Obama will address the Jewish Federations of North America and the Conference of Presidents of Major American Jewish Organizations (the nation’s leading Zionist groups, AIPAC its best known member) by webcast. He’ll sell the benefits of the nuclear deal he already plans to breach – to please Israel and its Zionist Lobby. On September 3, Vice President Biden will meet with US Jewish leaders (including major Democrat party fundraisers) in Florida – selling the nuclear deal. He’ll host a Labor Day Washington Rosh Hashanah (Jewish new year) event. On Wednesday, nearly 200 retired US generals and admirals wrote Congress – urging lawmakers reject the Iran nuclear deal, on the phony claim of threatening national security. The letter is the latest AIPAC effort to undermine a chance for preventing greater Middle East war. It’s similar to one sent last week by three dozen other retired senior US military officers – repeating the long ago discredited claim about facilitating Tehran’s path to the bomb, along with other familiar canards. Obama appears to have enough support to prevent a two-thirds majority overriding his veto when Congress is expected to reject the Iran nuclear deal in September. With Treasury’s Szubin explaining tough anti-Iranian sanctions remain official US policy, the JCPOC may not be worth the paper it’s written on – unless other P5+1 countries go their own way, breaking with US policy, not likely except for Russia and China.